New rumours indicate Amazon is developing an Alexa-based AirPods equivalent, according to Bloomberg. Jeff Bezos’ e-commerce platform is reportedly getting the product ready to ship in the second half of 2019. The pair of wireless earbuds will look and act similarly to Apple’s popular AirPods, says the report. People who are close to the project claim that the Seattle company is working to make sure its wireless headphones feature superior audio quality when compared to Apple’s offering. Apple unveiled a better-sounding pair of wireless earbuds under the Beats brand name on April 3rd, but the PowerBeats Pro are larger than the AirPods and feature clips that go around the wearer’s ears for extra support. Amazon’s buds will not include clips and sit in the user’s ears, according to Bloomberg’s sources. The earbuds also feature voice controls, allowing the wearer to chat with Amazon’s digital assistant just like an Echo device by saying the trigger word “Alexa” to order goods, play music and perform other vocal commands on the go, reads the report. Moreover, the headphones will include physical controls like tapping the buds to switch between songs and answering calls. Like Apple’s AirPods, Amazon’s earbuds will also come with a charging case. The unannounced earbuds are also tipped to be available in black and grey, according to the report. Finally, the Bloomberg’s report states that the earbuds do not feature cellular connectivity, so they’ll need to be connected to a phone. Amazon’s Alexa voice-activated assistant is now available in a wide variety of third-party devices and even some headphones, like the Bose QuietComfort 35 and the Jabra Elite Active 65t. The report also states that Apple is already working on its third-generation AirPods. These still unannounced AirPods are rumoured to be waterproof with better audio quality and noise-cancelling features. 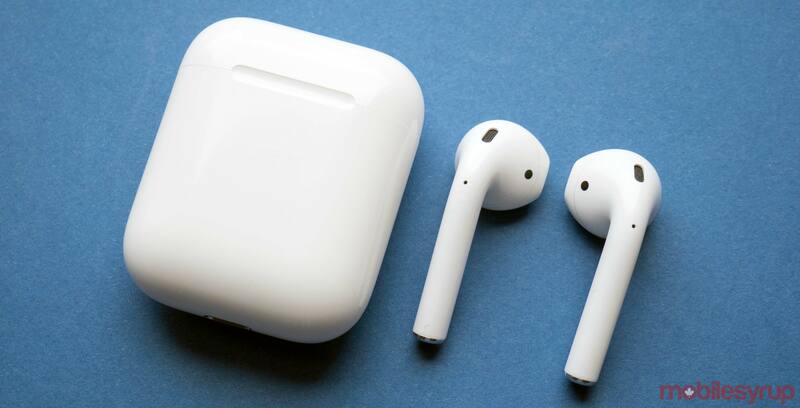 This could explain why Apple’s recently launched second-generation AirPods weren’t revealed at a keynote and didn’t include many new features beyond a wireless charging case.